Fireworks as celebration or as a release of frustration? 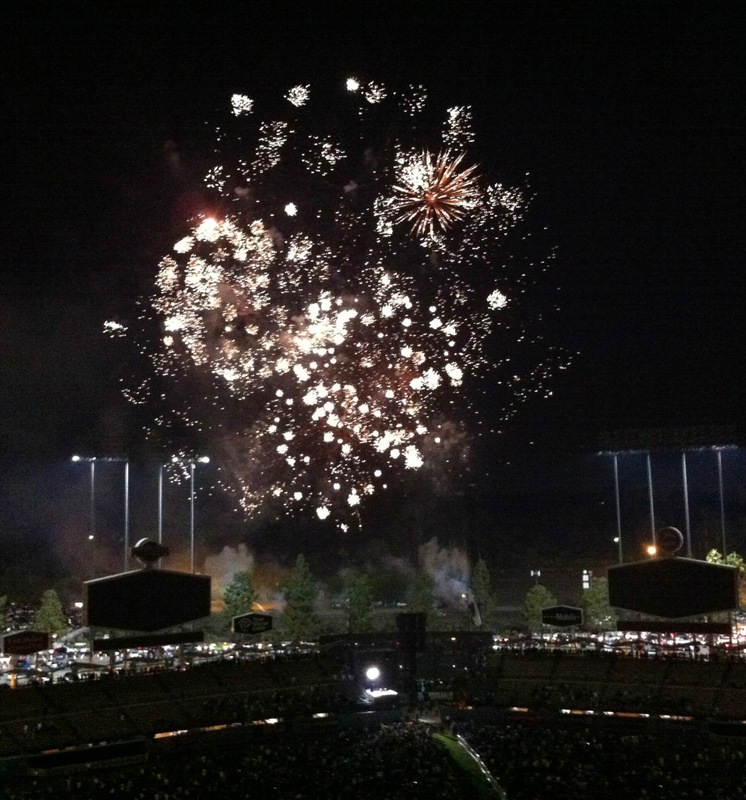 One swing made all the difference for me and 50,000 other Dodger fans Friday night. Dodger pitcher Ricky Nolasco and Bosox hurler John Lackey matched each other nearly pitch for pitch. 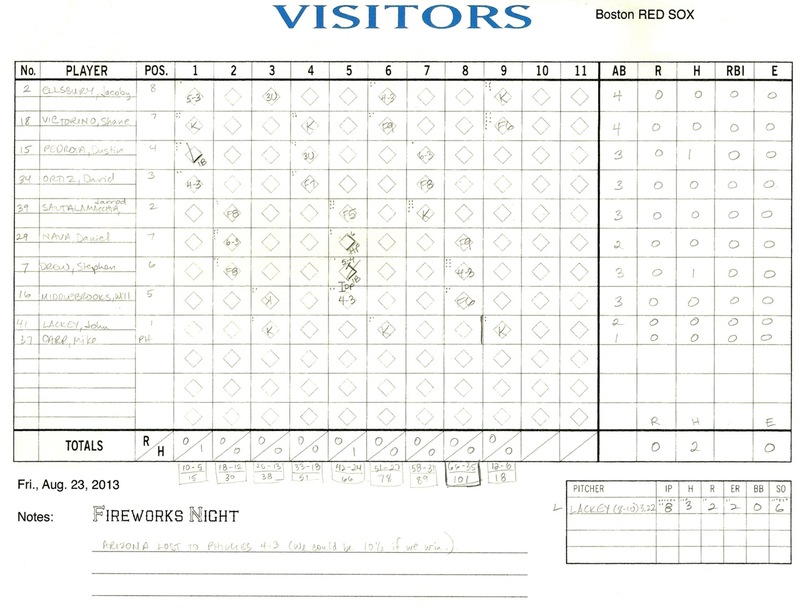 They each went eight innings, they each struck out six batters and walked none, even their pitch counts were close: Nolasco threw 101 pitches, 66 for strikes, and Lackey made 97 pitches, 69 for strikes. Only problem for the Red Sox, one of those was knocked out of park by Hanley Ramirez. In the quickest game I think I’ve ever been to, the Blue Crew bested the Bean Crew, 2-0, and when it was over, the announcer said, “Please turn your attention to Dodger vision for highlights of tonight’s game.” I turned to my neighbor and said: “That’s gonna be a short reel.” Well, he was from Scotland or something and had no idea what I was talking about. Once The Beard was B00ed, now The Beard is BL00. 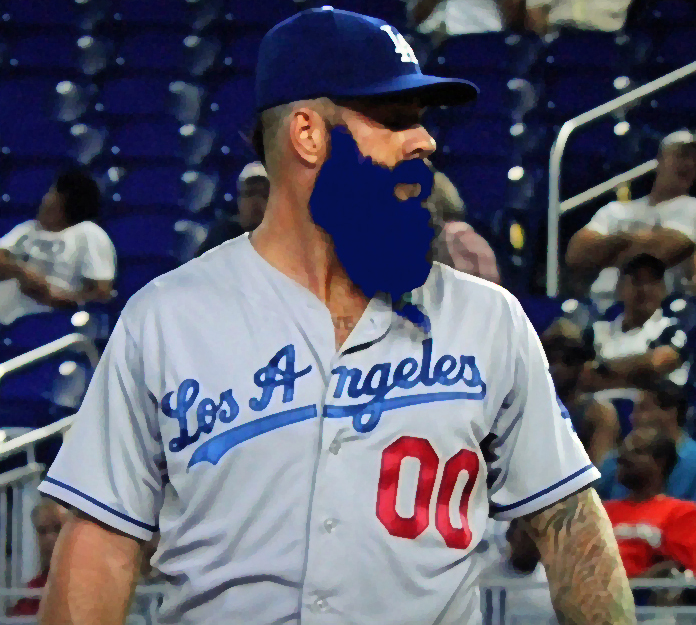 Former Giant Brian Wilson (awesome last name, by the way) staked his spot in the Dodger bullpen last night by closing out the game and preserving the 6-0 shutout over the Marlins in his first inning of work in 16 months. The 31-year-old right-hander had been sidelined since early in the 2012 season after he underwent Tommy John surgery. 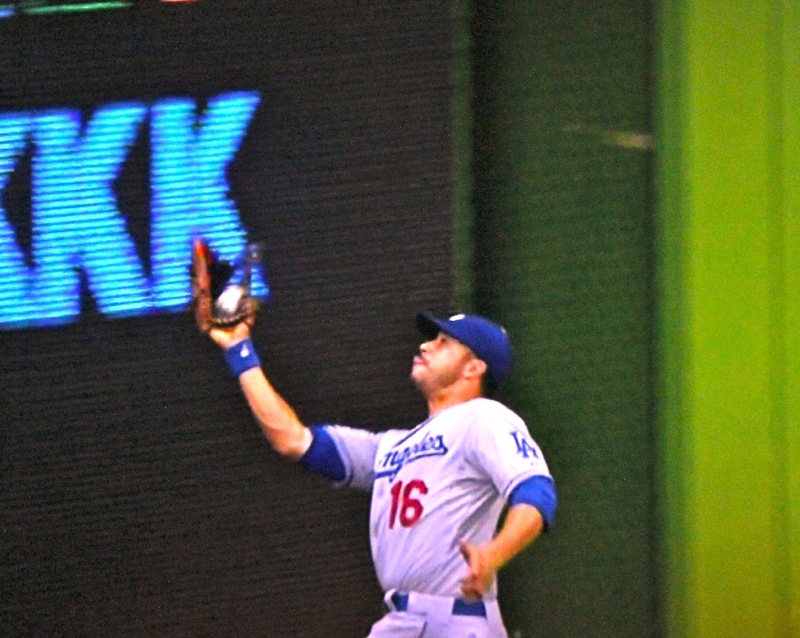 I don’t know about you, but his quirkiness may just be a good fit for these Dodgers. They already have some real characters to go along with the more down-to-business types like Andre Ethier (not that Andre doesn’t want to have fun, just that he seems to have a strong work ethic). These guys just get more and more fun to watch, like Ethier smashing into the fence catching the last out of Wednesday’s 4-1 win. I thought Kenley Jansen might just be doing his impression of Brandon League for a minute there, but Captain Clutch saved his bacon. 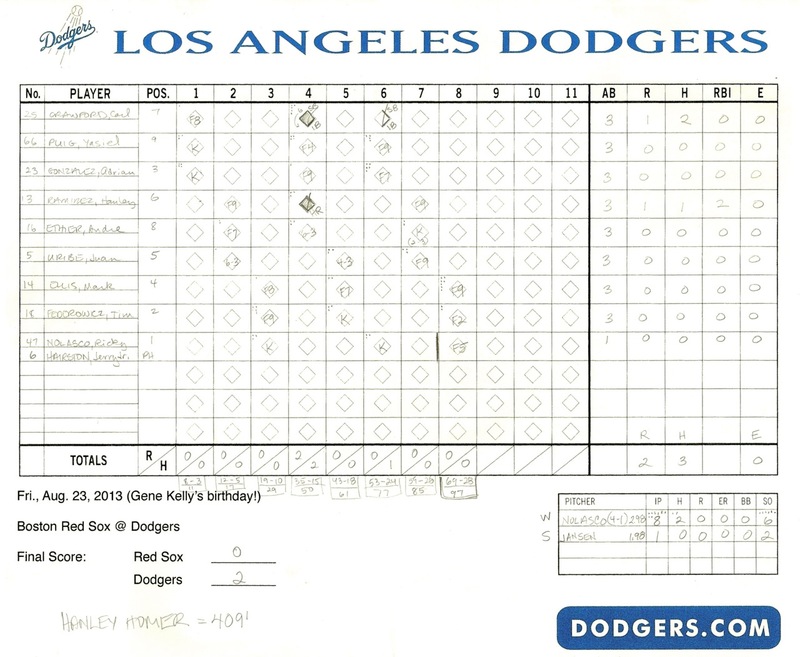 The Dodgers are 9½ games out in front, and tonight they host the Boston Red Sox. Should be a good game. I’ll be there with my scorecard and an itchy Twitter finger. What a strange and powerful tool this “Twitter” is! Now, I am not by nature a Twitterer. I have an account, and I send out occasional pictures of Zorro to my five followers. That’s about it. 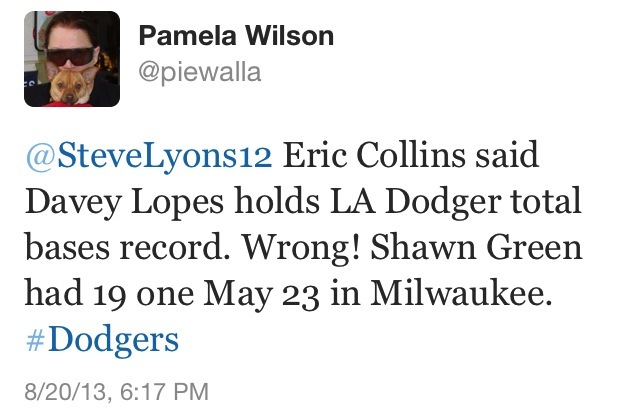 And I thought it was cool when my friend Chris Erskine got a shout out from Rick Monday on the Dodger radio broadcast! This is way cooler! I only wish it had been on Prime, because nobody gets Channel 9 anymore. #timewarnersucks.